The mint tea is delicious and relaxing. There are many health benefits of mint tea in your daily routine. The great benefits make mint infusion almost miraculous, both for physical and mental well-being. As if that were not enough, it also serves to treat and alleviate various pathologies that can affect the balance of your health. But what does mint contain? It is an herb with a high index of vitamins A and C, as well as omega 3 fatty acids, antioxidants and minerals of all kinds. All these components are healthy and necessary for the organism. Mint is obtained practically in any country. Although it prefers fresh climates, it is possible to plant it in the garden or in pots in your home, as long as you give it the simple care it needs. To take advantage of its properties, prepare a tea or incorporate the leaves into salads and drinks. One of the important health benefits of mint tea is that the tea can be used as a tonic to combat halitosis. Due to its refreshing effects and its antibacterial properties, it is an excellent remedy that leaves a rich taste in the mouth. You can also chew some fresh mint leaves. In the components of toothpaste and mouth rinses, mint is never absent. That is why it is recommended to use this tea as a mouthwash against bad breath. The only difference at the time of its preparation will be to increase the number of mint leaves so that their flavor intensifies. 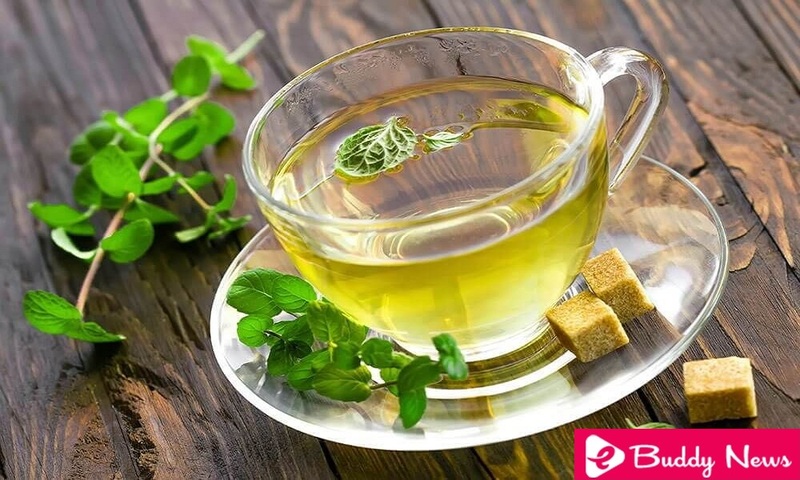 One of the health benefits of mint tea is that it can be used to get rid of the extra kilos that torment you. Along with green tea, they make a perfect combination to stimulate metabolism and burn fat. In addition, this combination also serves to treat fatty liver. When there are problems with nasal congestion and flu, it is common to go to hot infusions. In the case of mint tea, even more. The menthol content is a basic component of natural remedies to relieve sinusitis. It helps to decongest the airways and relieve a sore throat. Peppermint contains rosmarinic acid, an antioxidant and anti-inflammatory, which has been proven to have the potential to alleviate seasonal allergy and asthma symptoms. This antioxidant reduces the white blood cells related to allergies, which translates into a significant decrease in symptoms. The tonic that you can prepare based on mint has antiseptic and antibacterial properties, so it can be applied to attack the herpes virus type 1. It also serves to soothe skin irritations and to eliminate dandruff and lice of the scalp. If stress affects you, there’s nothing like drinking a cup of mint tea, preferably hot. Its menthol components have great relaxing effects and help to combat stress, fatigue, and mental exhaustion. Many of us know the wonderful effects of mint to relieve muscle pain. Even most analgesic pain relievers contain menthol, a basic component of peppermint. A compress soaked in warm mint tea on a sore muscle will relax the area until relief is achieved. If you have trouble sleeping, drink a cup of warm mint tea. Relaxes the muscles and the mind. This infusion is your ally to fall asleep and overcome the accumulated stress of the day. Again, the one in charge of these effects is for the menthol it contains. Slow or heavy digestions improve with a cup of mint tea after meals. It also helps soothe stomach pains and problems, in cases of gas or inflammation. Likewise, it has been proven to relieve irritable bowel syndrome. However, it is contraindicated in cases of gastroesophageal reflux. More than tea, peppermint oil is an ally of cancer patients. It is much more effective than traditional medicines to counteract nausea caused by chemotherapy. It also helps protect DNA and prevents cell death in areas exposed to radiation against cancer. Now that you have known the health benefits of mint tea, know some of the tasty drinks that can be made using mint leaves. Wash the mint leaves well. Remove the pot from the heat, cover it and let the mint tea rest for a few minutes. Enjoy your cup of hot or warm tea. Heat the water and, when it breaks the boil, add the leaves of mint and green tea. Take this tea fasting, maximum for three continuous weeks. Place the water in a jar and add the mint leaves to the water. Strain and serve with ice and sweetened to taste. A delight for hot days. Heat the water and, when it reaches a boil, add the mint. Let boil 3 minutes. Turn off the heat and cover the pot and let cool. Strain the mint tea tonic and keep it in the fridge.